Conference rooms and meeting spaces form one of the most integral components of a workplace. Thus, it is highly necessary for businesses to ensure that their conference rooms are properly designed to ensure that the meeting attendees feel comfortable, the goals associated with meeting-based activities are achieved, and an overall work efficiency is maintained. To do this, businesses need to embrace specific conference room solutions that can help design the best meeting rooms possible. With an ever increasing corporate presence all over the globe, a great need for such solutions exists, consequently giving rise to the global conference room solutions market. Most players operating in this market mainly are service providers who help their clients in several aspects associated with conference room setup. The players operating in the global conference room solutions market deal with tasks ranging from conference room designing and consultancy to meeting room makeovers and provision of conference spaces on hire. A most important factor that every business needs to incorporate in its conference room is the integration with cloud computing networks. This is mainly due to the extensive benefits associated with cloud processes that can literally transform a conference space by making it contribute towards achieving widespread efficiency. The overall productivity of meetings is known to notably improve by collaborating through cloud networks. During the upcoming years, cloud systems are expected to greatly boost the global conference room solutions market. Apart from cloud computing, the use of streamlined document integration also is another factor that has been extensively pushing the global conference room solutions market to achieve rampant expansion. A third solution that has been a major part of the market involves use of interactive whiteboards. According to recent surveys, there has been a rapid increase in the use of these whiteboards, consequently making the market exhibit a splendid growth curve. According to the research study, the conference room solutions market experienced a sluggish growth in the last few years. However, the global market is estimated to showcase a comparatively high growth throughout the forecast period. The research study helps the readers in understanding the growth prospects of the global conference room solutions market, along with the major opportunities for the leading players operating in the market. As per the research study, the market is expected to witness a healthy growth rate throughout the forecast period. The increasing adoption of cloud technology is one of the key factors estimated to encourage the growth of the global conference room solutions market in the coming years. In addition, the technological advancements and innovations are projected to play a significant role in the growth of the global market. With the increasing adoption of cloud security, a large number of organizations around the world are opting for different cloud services, including cloud storage and software as a service (SaaS). This will help in offering cost effective solution to customers in the next few years. The adoption of cloud services is expected to offer cost effective solution to customers. In addition, telecom service providers are focusing on digital transformation in order to enhance their internet speed and attain customer satisfaction. 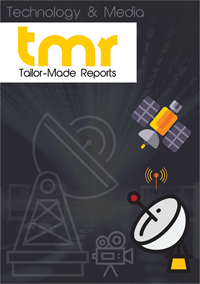 In addition to this, telecom service providers are looking forward to offering end to end services to customers. A significant rise in the demand is expected as conference room solutions are being used in several industrial verticals. The conference room solutions market across the globe is growing significantly. Among the key geographical segments, North America is projected to account for a large share of the market throughout the forecast period. The presence of a large number of leading players in this region and the willingness to adopt new technology are the major factors that are anticipated to accelerate the growth of the conference room solutions market in North America. On the other hand, Asia Pacific holds immense growth opportunities with the rising focus of organizations to focus on developing high-tech infrastructure and offer end to end services. The global market for conference room solutions is anticipated to witness a high growth throughout the forecast period. With a large number of players operating, the market is likely to witness a stiff competition in the coming years. The leading players in the market are focusing on the development of new product and innovations. This is likely to help the players in expanding their product portfolio and attract a large number of consumers in the next few years.